Recruiting top talent can be a challenge, but once that perfect candidate is brought on board, does your company have a strategic plan in place for onboarding them? Even though meaningful onboarding programs have repeatedly shown increases in employee retention, productivity, profitability, and satisfaction, a lot of companies still tend to leave this important step as an afterthought. In fact, employees at companies with the longest, most comprehensive onboarding programs gain full proficiency 34 percent faster than those with the shortest programs. A successful onboarding plan requires a comprehensive checklist of activities and tasks that need to be done in a certain timeframe. First impressions are huge, so it’s important that the program is both structured and engaging. This ensures that employees have everything they need to be successful in their performance and productivity. A great onboarding program is a combination of required administrative tasks and engaging activities to get new hires started right. Below is a list of onboarding best practices and advice for incorporating both of these aspects for crafting a great program for your company. When onboarding a new employee, it is impossible to avoid the often tedious paperwork. This step is necessary for legal compliance and to get the new hire set up with payroll and other HR functions, but during the employee’s first day in the office, it often puts a damper on the excitement of the day. This is why, with the help of a comprehensive onboarding software like iCIMS Onboard, it pays to get this out of the way before day one. Electronic forms are a great way to make sure all of the necessary paperwork is completed before the new hire even starts so that they have more time to train and begin meaningful tasks when they come in for their first day. New hires have a lot to learn, so providing them with a point of contact within the company to show them the ropes and be available for questions is a great way to relieve stress, improve productivity, and increase retention. Although managers are great for job specific guidance, having a peer buddy will help your new hire get acclimated to the company culture faster, making them feel a part of the team from day one. According to a report by BambooHR, 56 percent of new hires indicate wanting a buddy or mentor for their first week on the job. By providing this as part of your onboarding program, you can make sure your new hires feel supported and secure in their roles. Don’t just tell your new hires how excited you are to have them on board, show them! Onboarding is an exciting time for everyone, so in order to keep the positive momentum going, plan events that make the new hires feel welcome, engaged, and important. A welcome breakfast, ice-breaker games, scavenger hunts, and team lunches are all great ways to add some fun to the first week on the job. Employees want to do a good job, but first, they need to understand what success looks like at your company. The high-level version of onboarding should include details on corporate vision and goals, but it is important to also set aside time for new hires to understand their departmental and team metrics for success early on. By being clear and transparent in your expectations from day one, new hires will have an easier time staying positive and productive in their roles. As the hiring landscape continues to change, it is important for companies to be aware of their onboarding process. No longer can the process simply include paperwork and password setting. 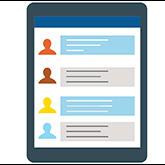 A structured, engaging, informative process that puts employees first is what modern onboarding is all about, so follow these tips and make sure your company is up-to-date.